Canada's biggest banks are in the midst of revealing how they're doing to investors, and Canadians would be well advised on keep a close eye on three trends buried in the numbers that could offer a hint of how the broader economy is holding up. It's the final quarterly earnings season for the big banks in 2018, when Canada's biggest lenders tip their hands to investors about how much money they're making and where. The Bank of Nova Scotia kicked things off with its quarterly results on Tuesday, revealing it had earned $2.27 billion in the three-month period that closed at the end of October. The Royal Bank of Canada followed suit on Wednesday, posting a quarterly profit of $3.25 billion for the same period. Toronto-Dominion Bank and CIBC's numbers land this morning, followed by the Bank of Montreal to close out the quintet next Tuesday. 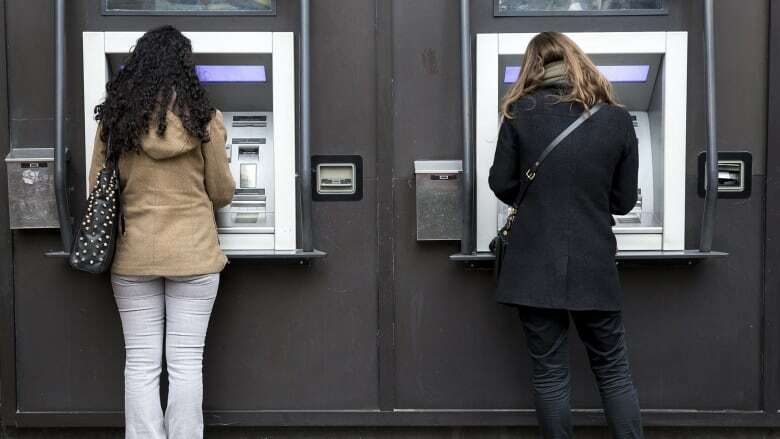 The big banks are considered to be canaries in Canada's economic coal mine at the best of times, and this go-around is being watched even more closely than usual. Anyone trying to get a handle on which way the winds are blowing for Canada's economy is well advised to pay attention to what the banks numbers show about three key things. How much exposure do they have to oil? After marching higher for much of the year, the oil market has slumped over the past two months, and Canadian oil has been hit harder than any other type of crude. The oil price that gets the most attention is the U.S. benchmark, known as West Texas Intermediate, which has lost one-third of its value since the start of October and is now trading for barely $50 US a barrel. But far more important to Canada's economy is the heavy blend of oilsands crude known as Western Canada Select (WCS). It's down by a whopping 70 per cent since the start of last month, at one point trading hands for under $14 US a barrel — less than what it costs to make it. "Oil producers highly exposed to Western Canada are at risk of experiencing a material degradation in cash flow," credit rating agency DBRS Ltd. warned on Wednesday. That's bad news for the banks that lend them money, too, which is why the topic of oil exposure was top of mind for some analysts who monitor the banks. Scotiabank revealed Tuesday it has $14.8 billion in loans to the energy sector, which is only about 2.6 per cent of all the loans on its books. Only about $1.2 billion of that has been loaned to companies exposed to WCS, which is why the bank's executives were feeling confident about the future. "We feel very proud of the names that we bank," Dieter Jentsch, Scotiabank's group head of global banking and markets, said on a call with analysts. "I'm confident this will withstand a period of unsettlement." Royal Bank reported it has a similar amount of loans — $1.3 billion — out to companies whose fortunes are linked to the price of Western Canada Select. While the vast majority of those loans are still considered investment grade, RBC's chief risk officer Graeme Hepworth noted that much of the plunge in oil prices has only happened in the past few weeks, so the WCS battering won't have fully shown up in the numbers ending in October. That's why the bank anticipates some "incremental losses" tied to oil that may turn up in the current quarter, he said on a call with analysts. While neither Scotiabank nor RBC were flashing red warning signs with regards to their oil exposure, it should be eye-opening to see what the rest of the banks have to say on the topic. How much do they have in Canada's housing market? 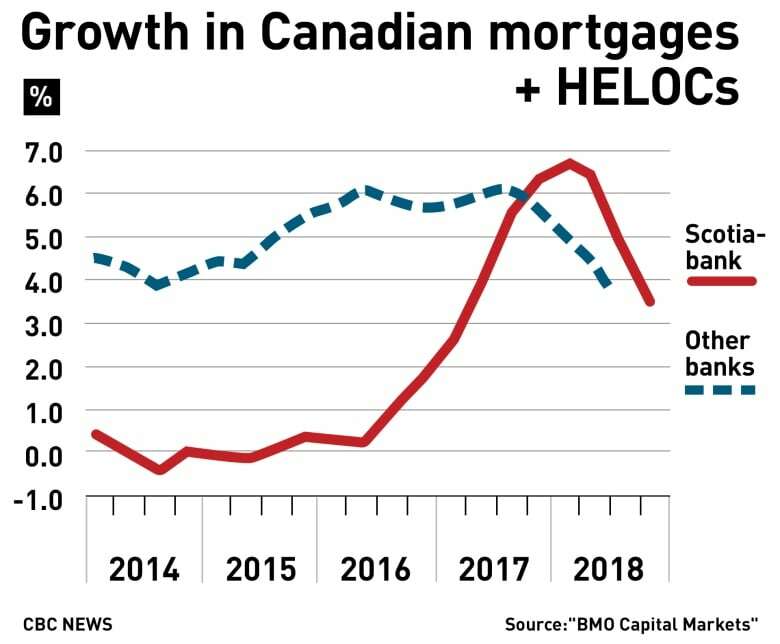 Considering their outsized role in the mortgage market, the banks' cumulative exposure to the Canadian housing market is likely to be gargantuan. But smart investors are paying close attention to whether that huge chunk is getting bigger or smaller. 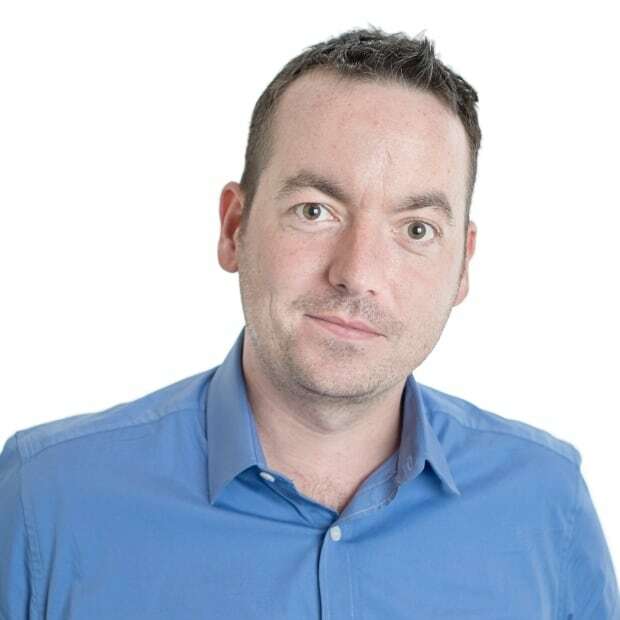 New mortgage "stress test" rules implemented at the start of this year, designed to make it harder to get a mortgage, seem to be having their desired effect. Scotiabank says its residential mortgage portfolio only grew by 0.4 per cent during the quarter. That's a fraction of what it was during the frothy years of 2016 and 2017, and the bank said it expects its loan book will only increase in the mid-single digits next year, too. While the numbers are slightly higher at RBC, they're trending in the same direction, as its residential mortgage loan book only grew by 1.4 per cent during the quarter. The bank still has more than $265 billion worth of residential mortgages on its books, but similar to Scotia, "growth is slowing," said Mario Mendonca, an analyst with TD Bank. Even if the golden mortgage goose isn't laying as many eggs, the Big Five can probably still honk out higher profits from their existing customers thanks to higher mortgage rates to come. But if any of Canada's other big banks are handing out fewer home loans, that's something Canadian homeowners will want to keep an eye on. Are they feeling confident enough to hike dividends? Dividend cuts are basically unheard of at Canadian banks, as many investors buy and hold the stocks for years, just for the steady income they provide. So management at the banks tend to only ratchet those quarterly stipends higher if they're confident they'll be able to maintain the higher payouts. This quarter, Scotiabank and RBC both kept their dividends where they were — but both were expected to stand pat because they hiked them last time. If the two-quarter trend holds true, BMO will announce a hike next week, since they haven't hiked in six months. All in all, Mendonca said "we expect the banks to continue to raise dividends at a healthy pace," of about eight per cent, on average, this year and next. If it happens, that's a good sign for investors that the banks are feeling confident about the future, even as distant storm clouds begin to rumble over Canada's housing market and the oilpatch.